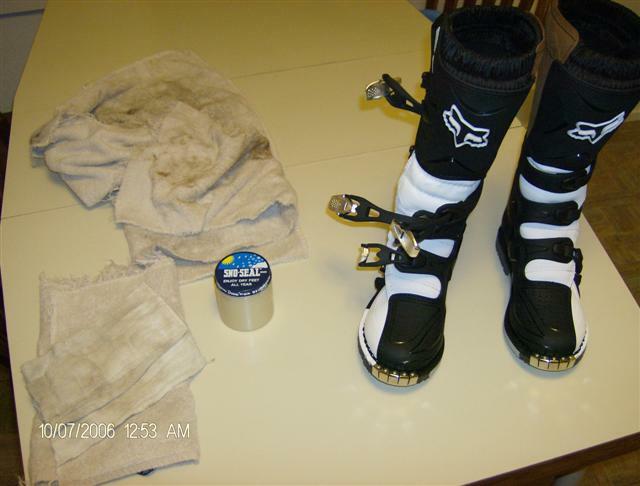 This method is painless, easy, and will protect your boots for many years of service, especially in wet conditions. Most MX boots are not the best at keeping your feet dry, and as they age, the preservatives contained in the leather lose thier effectiveness. This works wonders for speeding up the Break-In process, and also preserves older leather from drying and cracking. 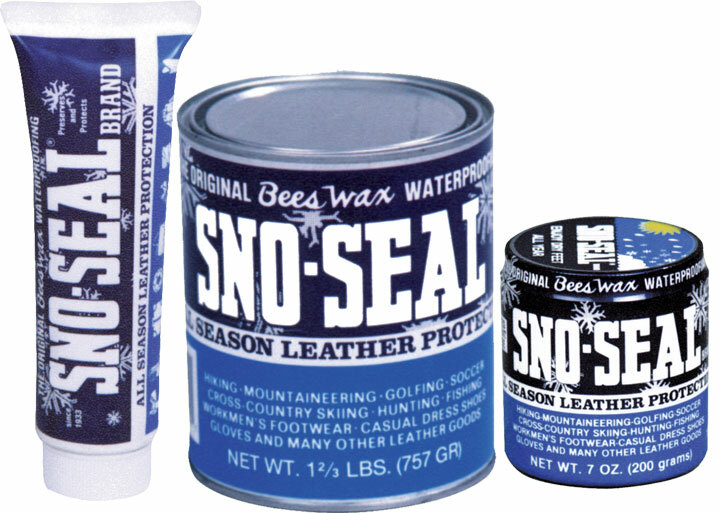 > Sno Seal 100% beeswax leather protectant and waterproofer. Avoid using any product that contains animal fats, they will cause the stitching and leather to degrade and fail over time. Animal fats contain acids. > Large towel for lap rag. > Smaller wash-cloth sized towels for application of Sno Seal. 1. Send your wife, fiance, girlfriend, or mother away for a few hours. Trust me, they will not be pleased with what you are about to do in the oven. 2. Thouroughly scrub your boots. Remove any caked on gunk, grease or trail grit. Simple Green and a scrub brush work wonders. 3. Cover the oven rack with a layer of tinfoil, to avoid later cleaning, and incriminating evidence of what you used the little woman's oven for. 4. Pre-heat an ELECTRIC stove to 200F. NEVER use a gas stove, the flames may catch boot linings on fire. 5.Place boots in oven, leaving the door cracked slightly. 6.Allow the boots to get warm to the touch, they will be about the temp of toast straight from the toaster. 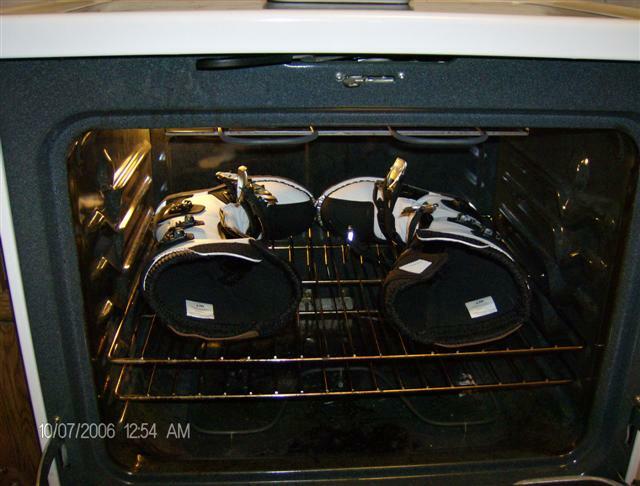 7.Remove one boot from the oven, and using the smaller rags, apply a liberal coating of Sno-Seal while rubbing briskly. The boots will absorb it like a sponge, and continue applying until they are cooled off and won't take any more. 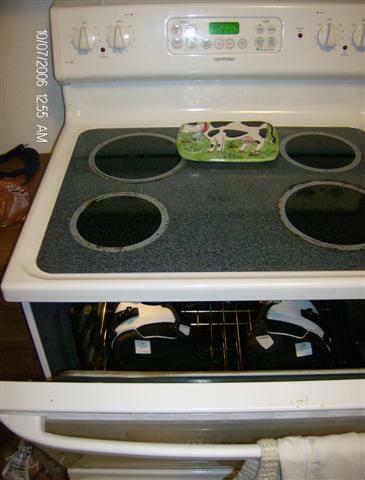 8.Replace boot in oven, while leaving door slightly open. 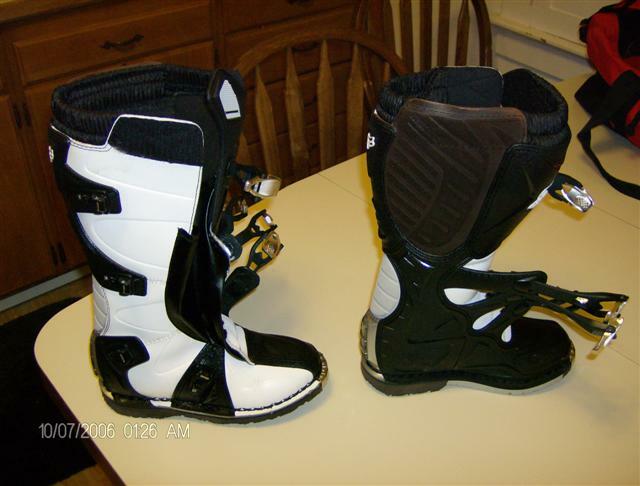 Allow the boot to warm back up, and the excess Sno Seal will be drawn into the leather. 9.Repeat until the leather is saturated and won't take any more. 10.Wipe off excess Sno Seal. 11.Put your boots on, and wear them and walk until they cool. There will be no more stiffness, and they will form to your feet like a cotton sock. 12.Clean up all evidence of your kitchen transgressions before the lady of the house comes back. Depending upon the conditions that you ride, you'll likely need to do this 2-3x year.